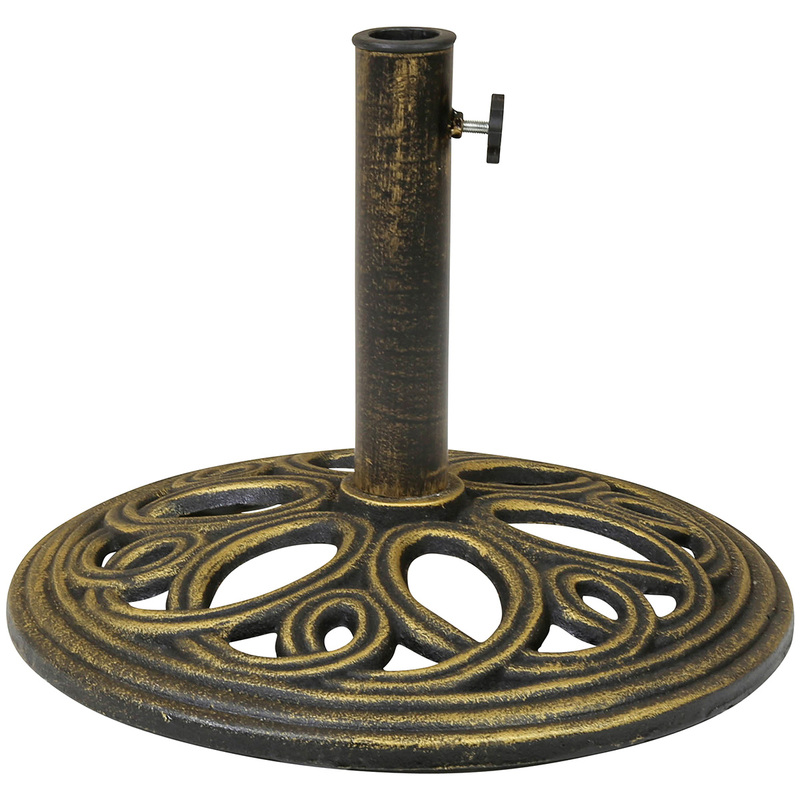 This cast iron umbrella base is finished in a bronze colour and features a swirl design. It has a tightening screw on the side to ensure the umbrella is secured inside the base. 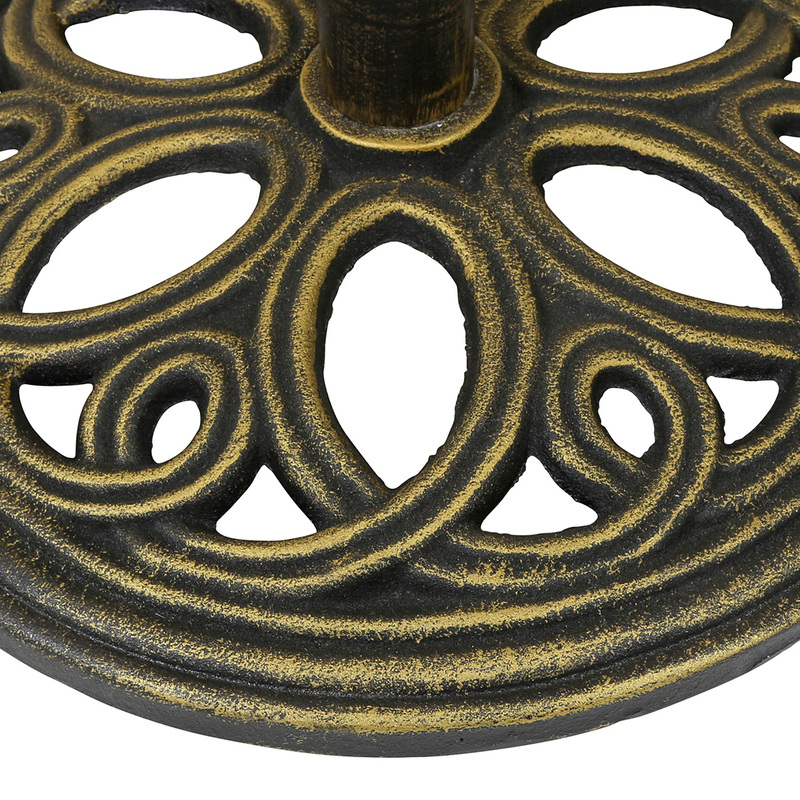 This cast iron umbrella base is finished in a bronze colour and features an swirl design. 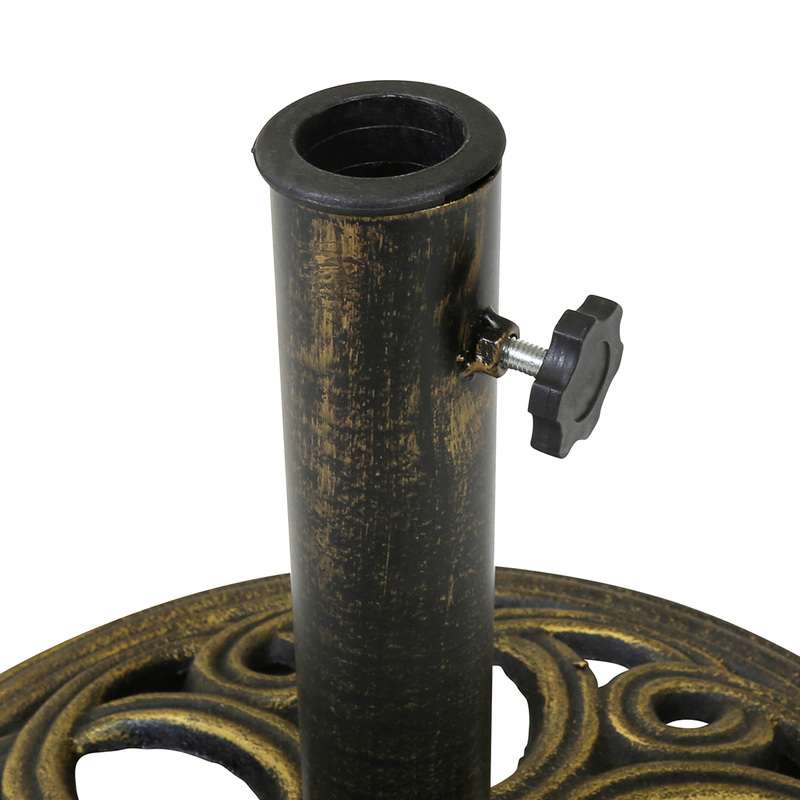 It has a tightening screw on the side to ensure the umbrella is secured inside the base. This item should take 3-5 working days for delivery. A signature will be required upon delivery. 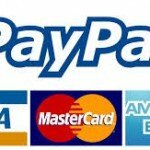 For more information please check the delivery section.